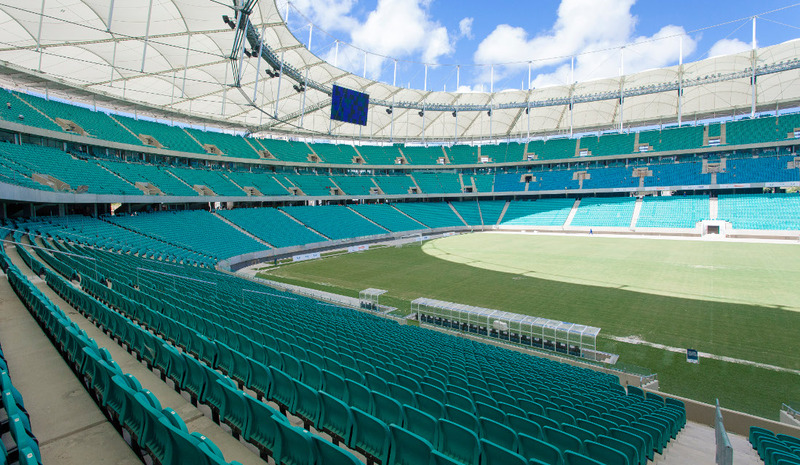 The Arena Fonte Nova, for sponsorship reasons called Itaipava Arena Fonte Nova, was built to serve as one of the playing venues for the 2014 World Cup. 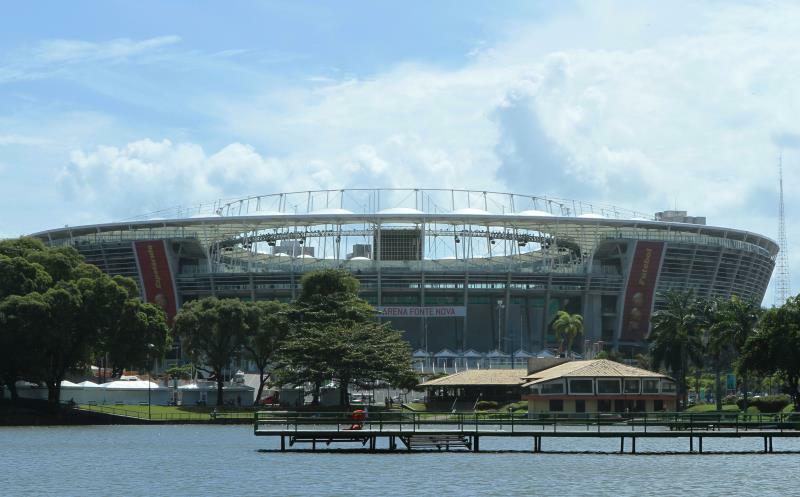 The new arena replaced the old Estádio Fonte Nova, which had stood at the same place, and was designed to resemble the old stadium with one of the ends left open to provide for a view over the adjacent lake. Estádio Fonte Nova got demolished in 2010, and construction of the new stadium took about two-and-a-half years. It got completed in early 2013 and officially opened on 5 April 2013. The first match, a friendly between local rivals Bahia and Vitória, was played two days later. 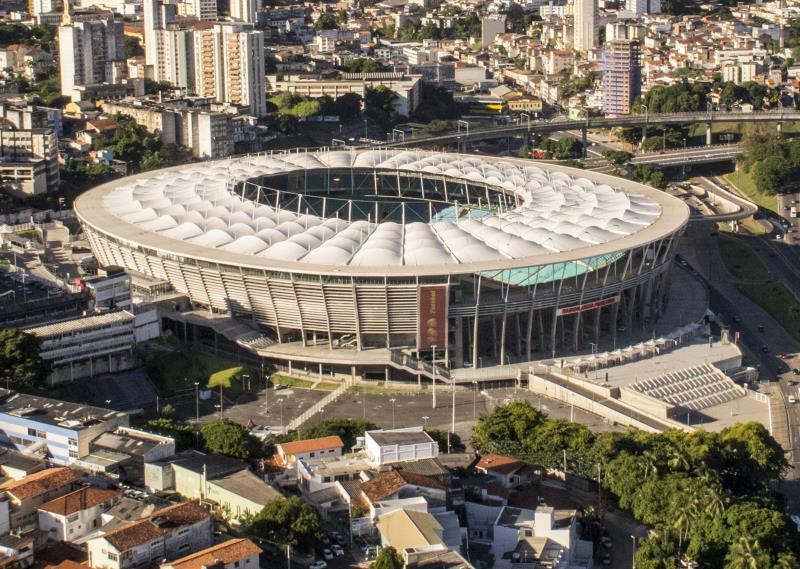 During the 2014 World Cup, the Arena Fonte Nova hosted six matches, including the quarter-final between the Netherlands and Costa Rica (0-0). 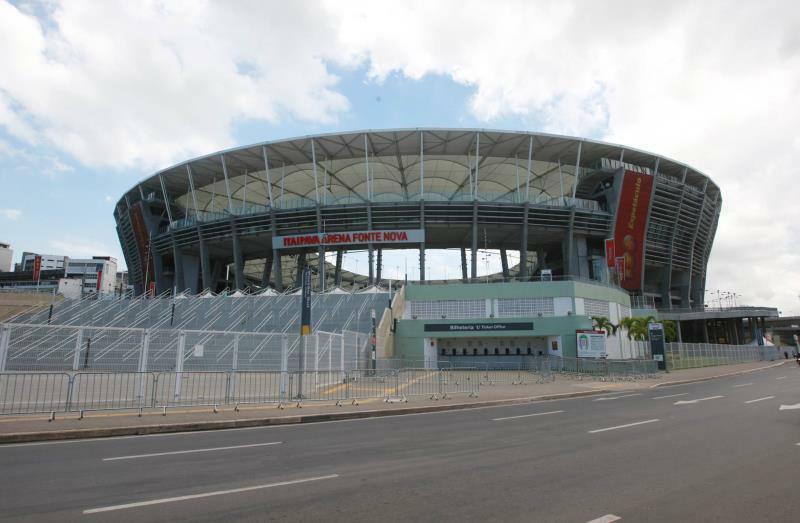 It was also one of the six playing venues of the 2013 Confederations Cup. Itaipava Arena Fonte Nova is located on the eastern edge of Salvador’s historic centre and can therefore be walked to from most central places. The Arena Fonte Nova is located right on the edge of Salvador’s picturesque historic centre (Pelourinho), which has the added benefit of being full of bars and restaurants. It also means that there is an ample supply of hotels, most of the cheaper kind, in the vicinity of the arena. Click here for an overview of hotels near the Arena Fonte Nova. For those that prefer to stay at a more upscale alternative, the well-off eastern suburbs of the city offer plenty of options. This is also where various of the city’s beaches are located. The Arena Fonte Nova is 7 to 10 kilometres away from here. Finally, those that fancy the clubbing scene may want to consider finding themselves a place to sleep in the southern Rio Vermelho area, which is a reasonable 5 kilometres from the arena. 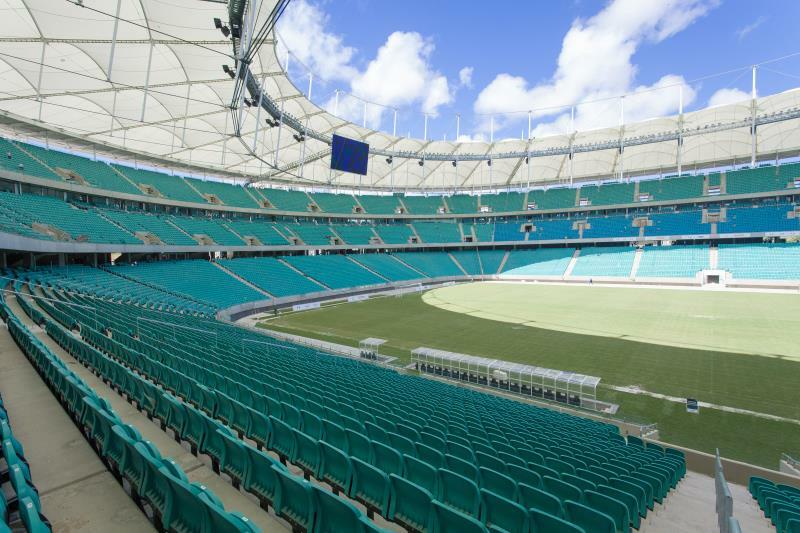 Tickets for Bahia matches can be bought online, at the ticket windows of the Arena Fonte Nova, the Bahia club offices, or at the Ticketmix booths at Shopping da Bahia and Shopping Salvador shopping malls. Tickets are also available at the Arena Fonte Nova on the day of the match. Bahia rarely sell out. 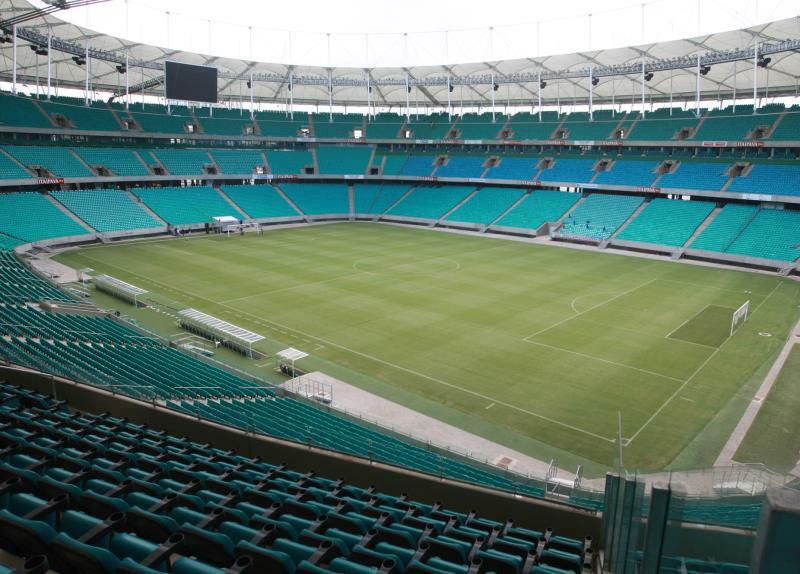 Ticket prices can depend on the opponent, but typically start at BR$ 40.00 for a seat behind the goal to and range up to BR$ 60.00 for a seat at the West Stand. The Arena Fonte Nova also gets occasionally used by local side EC Vitória, who normally play at Barradão, but move to the larger arena for their high-profile matches. Esporteclubebahia.com.br – Official website of EC Bahia. Itaipavafontenova.com.br – Official website of Itaipava Arena Fonte Nova.